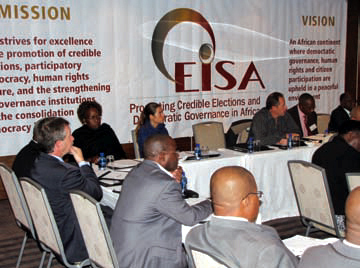 On 3-4 March 2015 South Africa's Independent Electoral Commission (IEC) hosted a seminar on conditions conducive to free and fair elections at the Taj Hotel, Cape Town. Participants comprised of invited International guests and members of the National Party Liaison Committee of South Africa as well as the key electoral stakeholders such as the Public Broadcaster, the SABC, the Department of Justice as well as The National prosecuting Authority. An exciting set of presentations comprised of a case study on the election management bodies establishment, structure, role and function from the Republic of Korea presented by Ms Su-Yeon Kim, Director of International Co-operation from the National Election Commission of the Republic of Korea. This was complemented from a case study on the role of the Government of India and political parties in supporting free and fair elections from His Excellency H S Brahma, Chief Election Commissioner of India. These presentations were supplemented by presentations from Ms Mete Bakken of International IDEA on conflict and free and fair elections, as well as perceptions of electoral integrity from Prof Jørgen Elklit who served on the very first Electoral Commission in South Africa in 1994 and is also a former Director on the Board of EISA and is currently on the Editorial Board of EISA's Journal of African Elections. Ebrahim Fakir of EISA facilitated the proceedings of first half day on 3 March 2015 as well as the presentations made by Political Parties on the National Party Liaison Committee on 4 March 2015. As part of its support to EMBs, EISA hosted several EMB delegations keen to learn from the Institute. Interaction with EMBs took place at the EISA offices in Johannesburg as well as in the field. On the occasion of the run-off presidential elections in Liberia, EISA hosted a delegation from the Independent Electoral and Boundaries Commission (IEBC) who were in Liberia to observe the elections. The delegation consisted of a commissioner and three technical staff of the Commission who took time to hold meetings with the National Elections Commission (NEC) of Liberia. These meetings provided an opportunity for peer learning in the area of post-conflict elections and also on the conduct of a two-round election which is crucial for Kenya in view of the recent amendment of its constitution. EISA also hosted a delegation from the Afghanistan Electoral Reform and Civic Advocacy group. The delegation spent time with EISA sharing experiences and gaining information about EISA's work and programmes. EISA was invited to present a paper on "Voter Registration and the Voters' Roll" to a seminar of Electoral Commissions Forum in SADC held in Johannesburg from 23 to 24 August 2011. EISA, in partnership with the Zimbabwe Election Support Network (ZESN), provided support to civil society organisations in the area of constitutional review process. Five workshops were conducted around the country under the theme "Enhancing the Participatory Capacities of CSOs in the Constitution-Making Process in Zimbabwe". The main objective of the workshops was to discuss various critical thematic issues in order for civil society to confidently make meaningful contributions from an informed perspective on the new Constitution. In partnership with The Carter Center, EISA co-hosted a two-day workshop on assessment criteria for democratic elections. The workshop's aim was to introduce participating organisations to tools for election observation based on public international law. 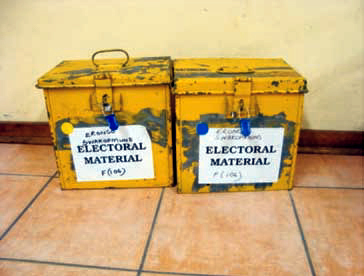 These tools, which are the output of TCC's multi-year, collaborative Democratic Election Standards project, were presented for review and discussion amongst participants to determine their effectiveness and relevance in the African region. The two-day conference took place in Nairobi, Kenya, from 3 to 4 May 2010. The gathering was attended by representatives drawn from organisations working in the area of election observation, human rights, democracy and governance across the African continent. 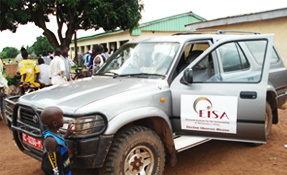 Between July and September 2010, EISA held a number of consultative meetings with the Zimbabwe Electoral Commission (ZEC) and the donor community in Harare. EISA is in discussion with the ZEC regarding the nature and level of support to be provided to ZEC for successful referendum and electoral processes in the country. EMBs workshop on Elections and Technology EISA , in co-operation with the International Institute for Democracy and Electoral Assistance (IDEA ), held a three-day workshop on "Election and Technology" in Johannesburg, South Africa, from 25 to 27 November 2010. The purpose of the workshop was to set a framework for policy makers and electoral officials to decide on the appropriate level of technology; to provide an overview of the state of the art of technological application in elections using case studies from countries that have used different types of technology and to explore a sound management approach in introducing new technologies. By including the Building Resources in Democracy, Governance and Elections (BRI DGE ) Module on Elections and Technology, the workshop was a combination of theory and practice. Participants to the workshop had the opportunity to experiment with a number of technologies applicable to various operations of the electoral cycle through the side exhibition made by developers and vendors of these technologies. Through the United Nations Development Programme's (UNDP) Democratic Institutions Programme (DIP), EISA facilitated a study tour in October 2010 for a delegation consisting of National Electoral Board of Ethiopia (NEBE ) members and the secretariat on issues of boundary delimitation and other relevant topics in South Africa. Besides an induction programme, the NEBE delegation visited and held discussions with both the South African Independent Electoral Commission (IE C) and the Demarcation Board. 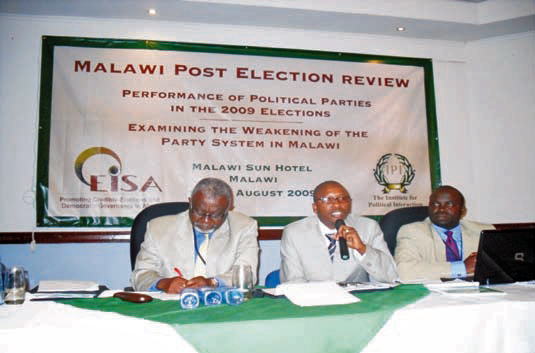 In August 2009, the EPP and GIP successfully held a Post-Election Review in Malawi. The principal goal of the workshop was to reflect on the 2009 presidential and parliamentary elections in Malawi and critically assess its implications for institutionalisation of the party system cognisant of the fact that parties play a key role in the democratisation process. The theme of the workshop was "Performance of Political Parties in the 2009 Elections: Explaining the Weakening of the Party System in Malawi". The workshop was held at the Sunbird Mount Soche Hotel, Blantyre, Malawi. The workshop was attended by representatives of the political parties, the Malawi Electoral Commission (MEC) and CSOs. The conference gave political parties in Malawi an opportunity to reflect on their performance in the 2009 Malawi Presidential and Parliamentary elections and map a way forward. The presentations by representatives from the civil society sector in Zambia and a constitutional expert and former Clerk of the Parliament from Lesotho, enabled the sharing of experiences from the region. Report: Challenges of Election Management and Prospects for Reforms in Madagascar (English and French). Offered policy relevant and actionoriented recommendations for electoral reforms to assist Madagascar to comply with the 2003 Principles for Election Management, Monitoring and Observation (PEMMO) and the 2004 SADC Guidelines and Principles Governing Democratic Elections. 52 participants attended the workshop drawn from representatives of political parties, civil society organisations, election authorities, government officials at the central and local levels, Members of Parliament, the judiciary, the media, the donor community and development agencies, academia and traditional leadership. EISA and the Federal Electoral Institute of Mexico (IFE) signed an Electoral Cooperation Agreement at a ceremony in Mexico City on 14 April 2008. The Agreement formalises the relationship of cooperation between EISA and IFE to jointly promote democratic values and the professionalization of electoral administration. 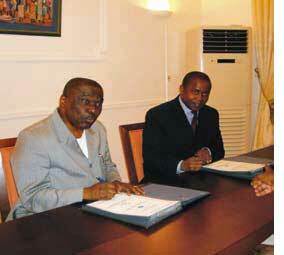 The intention of the Agreement is to benefit electoral management bodies and institutions in Africa and Latin America. This will include a range of activities including organising international, regional and national debates around trends and challenges for the consolidation and strengthening of democratic institutions, rules, values and procedures. EISA was represented by Ilona Tip, Operations Director and Belinda Musanhu, Programme Manager (Elections and Political Processes). The President Councillor of IFE, Mr Leonardo Antonio Valdes Zurita and Mr Manuel Carillo, Chief of Staff International Affairs Unit, signed the agreement on behalf of IFE. 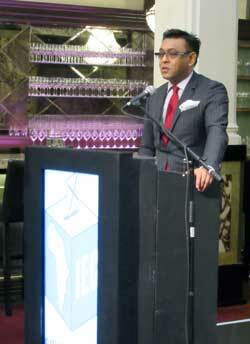 EISA looks forward to working with IFE. The EPP department held a training workshop on voter registration systems and technology for EMBs. The workshop was prompted by the realisation that voter registration is one of the most important and usually the most expensive part of an electoral process. Despite this, there has not been enough effort in looking into voter registration methodologies which can be applied in a more sustainable and cost-effective manner in the compilation and management of a voters' roll by EMBs. In addition, supplier-driven voter registration modules (sometimes combined with national civil registry systems) largely reliant on IT and special material from external suppliers are chosen by electoral commissions, while sustainability issues are not fully considered. The workshop was the beginning of a discussion amongst EMBs in the region aimed at identifying the most efficient, cost-effective and sustainable methodologies, including IT solutions, for voter registration. The department intends to sustain this discussion over the next 12 months in order to assist EMBs in improving their registration systems. The department initiated a Lesotho post-election review which was held in September at the height of the efforts aimed at resolving the post-election conflict. EISA's Project Management and Development, the forerunner of EPP, provided support to the Electoral Commission in Lesotho in the execution of a voter education programme, including the planning of voter education, the design and development of materials, the training of trainers and the production of a final report.